The nose is a unique structure that involves intricate layers of skin, bone and cartilage. Nasal fractures are not only painful, but repairing the nose requires a certain level of skill if you are aiming to regain both function and aesthetics. Unfortunately, it is common for patients to avoid medical treatment for a broken or fractured nose. While the body will certain heal itself after such injuries, your nose may not repair itself the way you’d hoped for. In fact, the nose often remains crooked or misshapen without professional intervention. Nasal fractures can be successfully repaired by a skilled facial plastic surgeon at any point. However, for less-invasive measures and ideal results, it is important to seek treatment as soon as possible after the trauma has occurred or shortly after the swelling has gone down. Ideally, surgical correction should be performed for their nose within the first couple of weeks after breaking it. Waiting longer could make it more difficult to move and set the nasal bones. If you’ve suffered a nasal fracture months ago or even years ago, don’t worry. A reputable plastic surgeon can still successfully correct the form and shape of your nose later in life, even if it is a complex case. Dr. Talei is one of the most sought after and uniquely skilled physicians in his field. 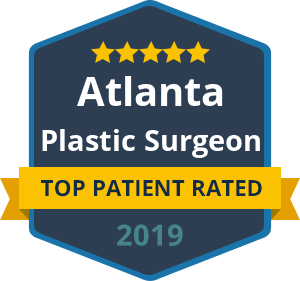 He holds dual fellowship training in facial cosmetic and reconstructive surgery and vascular birthmarks and congenital anomalies with laser surgery. With his delicate surgical hand and artistic eye, you are sure to achieve the most natural results. He performs all types of nasal plastic surgeries in our Beverly Hills office, including open and closed rhinoplasty for more severe nose injuries. Want to schedule your consult for nasal fracture repair with Beverly Hill’s most trust facial plastic surgeon? Call Dr. Ben Talei today.